It’s always a challenge doing large group shots (and it’s not easier when I add a fifth member to the group). I don’t know how comics like X-Men, Guardians of the Galaxy and Avengers are able to juggle so many characters effectively. Luckily with each issue I’m able to learn new techniques and workarounds for these types of problems. 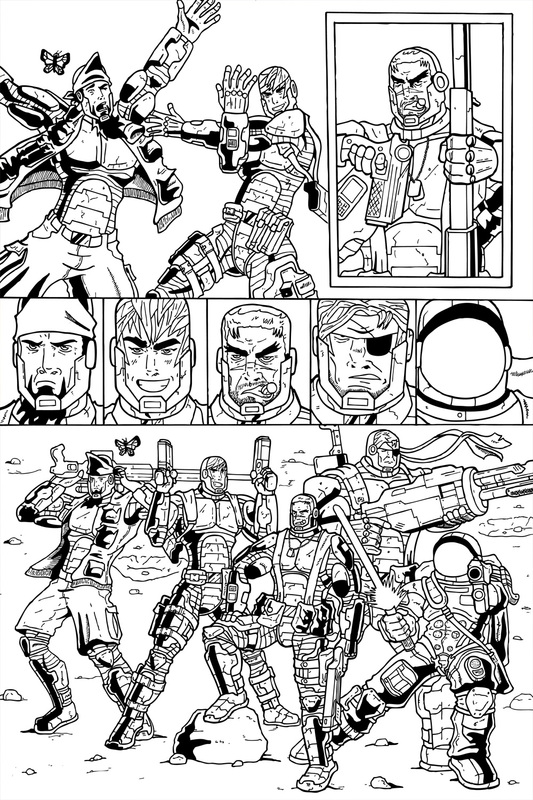 Team Stryker will never get boring to me as there is always one new thing to try with each new page. Have a great hump day and I’ll see you all back here on Friday.